Check out today’s infographic from Women && Tech highlighting differences in maternity leave around the globe. The U.S is one of only a handful of countries not to offer mandatory paid leave (mothers are limited to unpaid leave via the FMLA and whatever employers choose to offer)… and the more I think about the reasons behind why this is, the more I am inclined to believe a change is necessary. Without going too far down any political rabbit holes… I think it’s nevertheless kosher to say that being at the bottom of this list isn’t okay, right? …Let me know your thoughts in the comments section below, and as always if you like this infographic then follow Women && Tech on Twitter here (and the creator of the infographic – Designer and Illustrator Ivonne Karamoy – on Twitter here). Check out this great infographic from Adecco highlighting some of the biggest salary trends from 2015. Looking at popular jobs in STEM, marketing, and industrial fields, I found it extremely informative. Whether you’re struggling with hiring top talent or just curious, check out today’s infographic below. And as always, if you like it then follow its author on Twitter here. Check out today’s great infographic from the team at Madison. The social recognition firm outlines the business case for engagement by highlighting the difference a brand ambassador can have on the bottom line. As always, if you like today’s infographic you can follows its author on Twitter here. This has been a really hectic week for me, and I’ve put several other things on the backburner (including this blog) to juggle all of the balls in the air! This makes today’s infographic particularly timely. It’s always a good idea to make time to workout throughout the week. To this point, according to the folks at Paychex doing so will improve both your productivity in the workplace and long term health outcomes. …So with that said, check out today’s infographic and then (doing as I say and not as I do) get to the gym and/or take a walk! And as always, if you like what you see in today’s infographic then follow its author on Twitter here. Check out the below infographic from O.C. Tanner laying out the business case for recognition. Be it increased tenure, engagement, or productivity, the value proposition here is clear. As always, if you like this infographic then be sure to follow its author on Twitter here. And if you want to drill even further into the data highlighted in the below infographic, follow this link to download a white paper that will tell you more about it! P.S. Something Different HR was named one of the best HR Blogs of 2015 by Promotions Now. Check them out here. 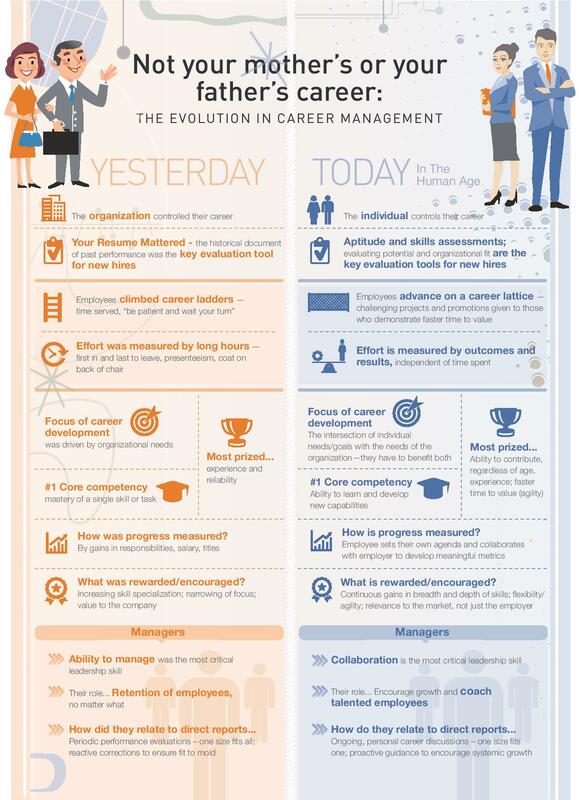 …Taking a break from benefits/rewards today to share the below infographic highlighting the differences between career progression in the past and career progression today. Do you agree with the assessment? As always, if you like what you see then follow Right Management on Twitter here. And as always, please share your thoughts in the comments section below. I am in the middle of a move this week so apologies for the sporadic update times, but check out this infographic from Jobvite highlighting the most common employee benefits and their popularity with employees and prospective employees. If you like this infographic, as always follow its author on Twitter here.